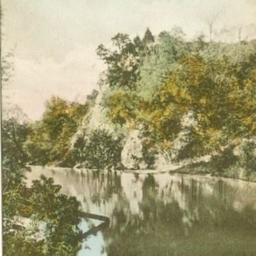 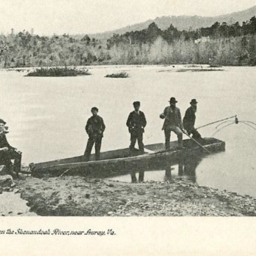 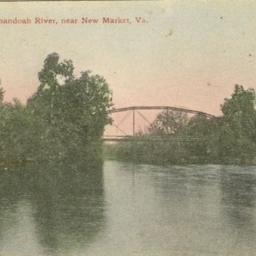 Scene on the North Fork of the Shenandoah, near New Market, Va.
Postcard showing the Shenandoah River near New Market Virginia. 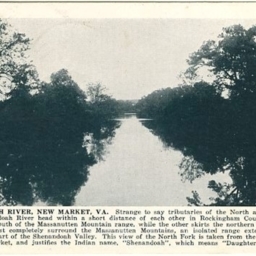 Includes description of the river and its history. 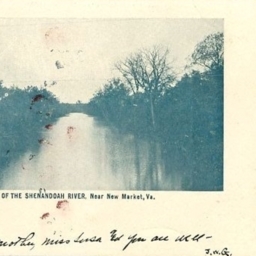 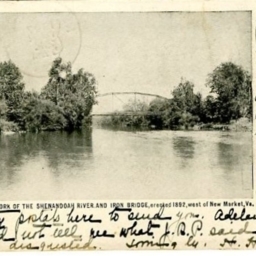 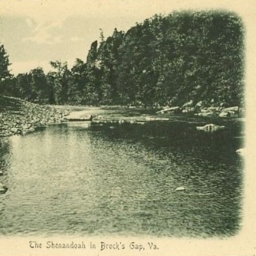 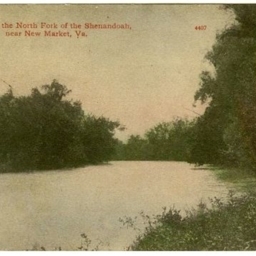 North Fork of the Shenandoah River, New Market, Va.
Postcard showing the Shenandoah River near New Market Virginia. 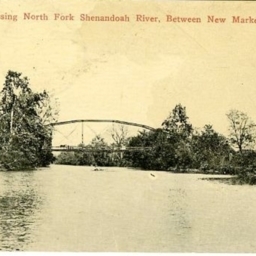 North Fork of the Shenandoah River and Iron Bridge, erected 1892, west of New Market Va. 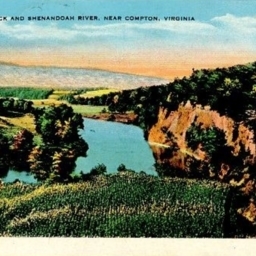 Scene on Shenandoah River, near New Market, Va.
Color postcard showing the Seven Bends of the Shenandoah River located near Woodstock Virginia. 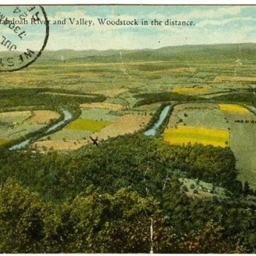 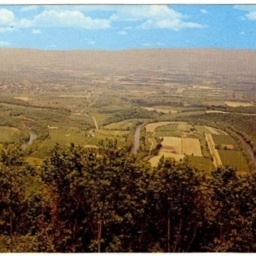 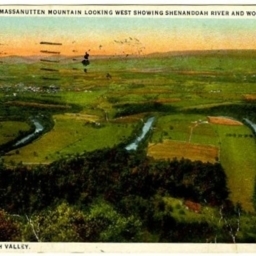 Color postcard showing a picture of the Seven Bends of the Shenandoah River and Woodstock Virginia from the Massanutten Mountain. 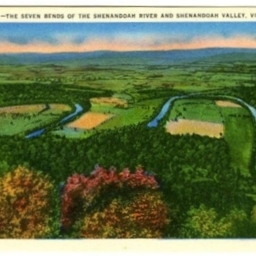 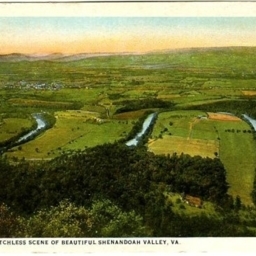 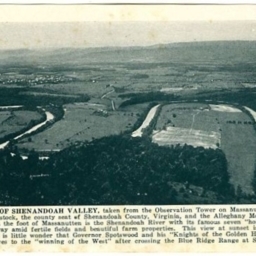 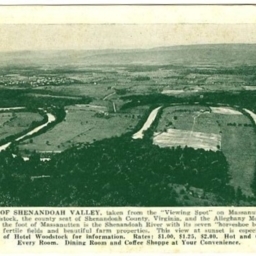 Color postcard showing the Seven Bends of the Shenandoah River and the Shenandoah Valley from the Massanutten Mountain located just west of Woodstock Virginia. 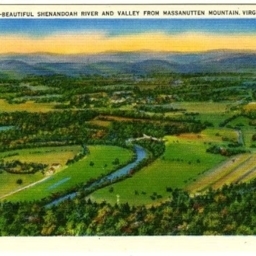 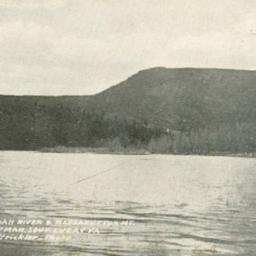 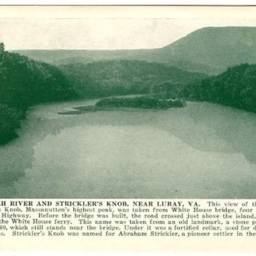 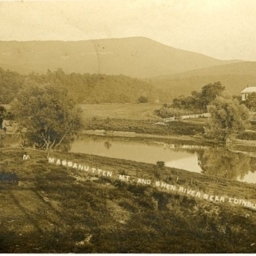 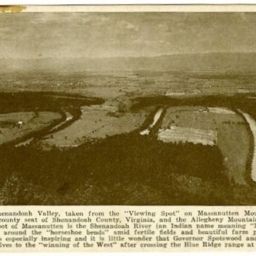 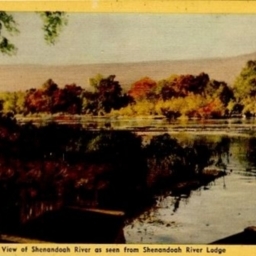 Postcard with a picture of the Shenandoah River, house, and the Massanutten Mountain taken from near Edinburg Virginia. 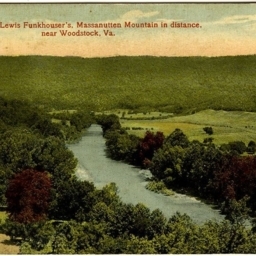 Ford and Lewis Funkhouser's, Massanutten Mountain in distance, near Woodstock Va.
Color postcard with a picture of the Shenandoah River at "Lewis Funkhouser's Ford" located east of Woodstock Virginia. 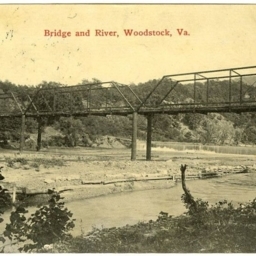 Bridge and River, Woodstock, Va.
Postcard with a picture of the bridge that formerly spanned the Shenandoah River at "Burnshires" just east of Woodstock Virginia.